While tech giants like Sony and Facebook are currently betting big on the future of virtual reality, Apple has so far stayed out of the “giant headset of questionable utility” game. 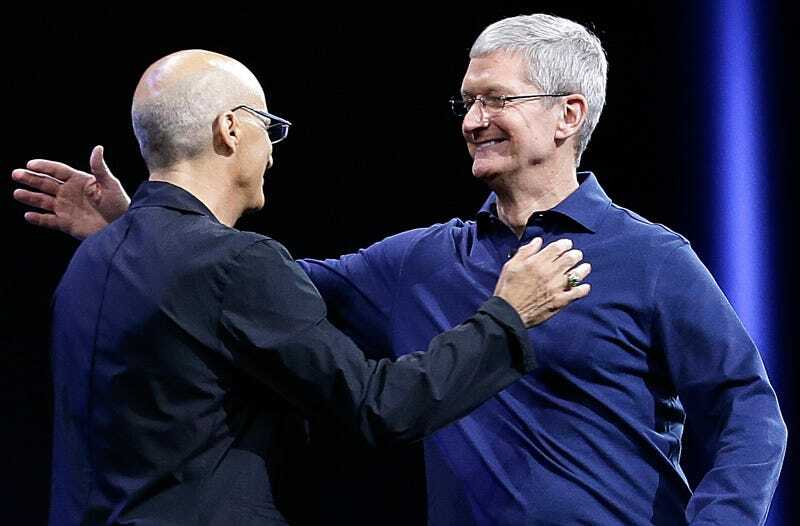 Today, we finally know why: CEO Tim Cook, like all of us, just wants a hug. Cook has previously indicated that Apple is much more interested in the potential applications of augmented reality, but this week’s comments also seemed to be a veiled jab at Facebook. Two years after acquiring headset maker Oculus, CEO Mark Zuckerberg finally demoed the company’s “social VR” earlier this month. The result was super weird. All of this technology is supposed to bring us together, but, in the end, isn’t it just driving us apart? Really makes you think.